Is this cheating? 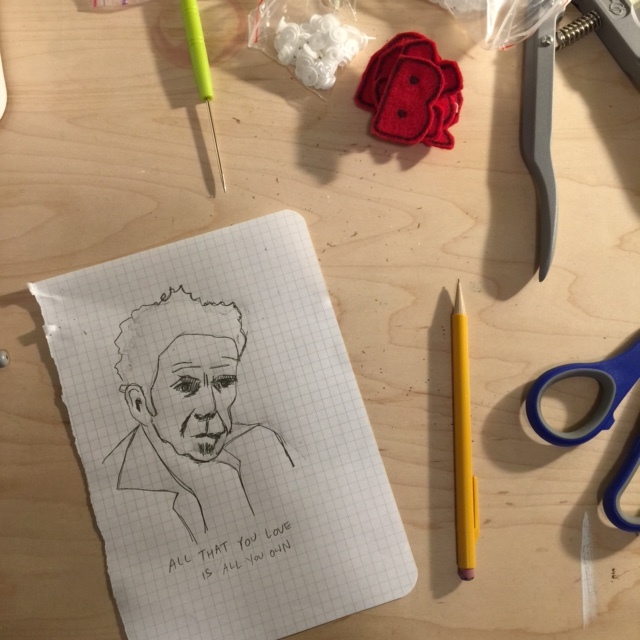 Because I basically already wrote this post when I shared how to create Australopithecus fan art for your unborn. 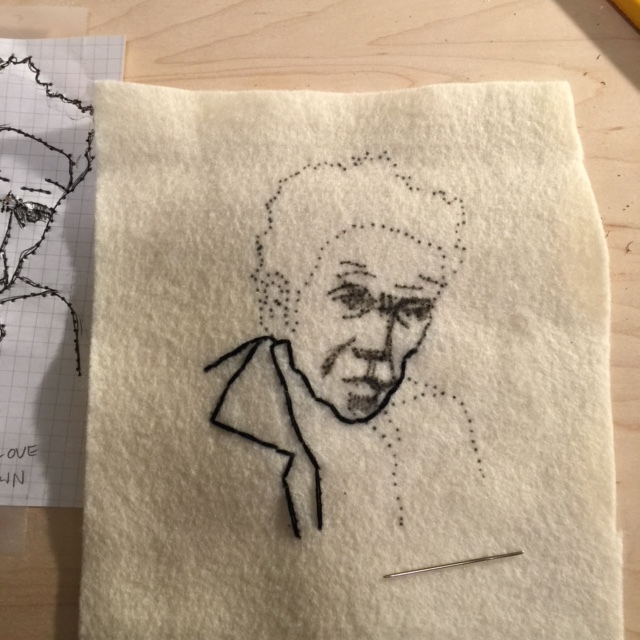 The only real difference is that today I stitched a moody portrait of Tom Waits instead of an extinct genus of hominid. 2. 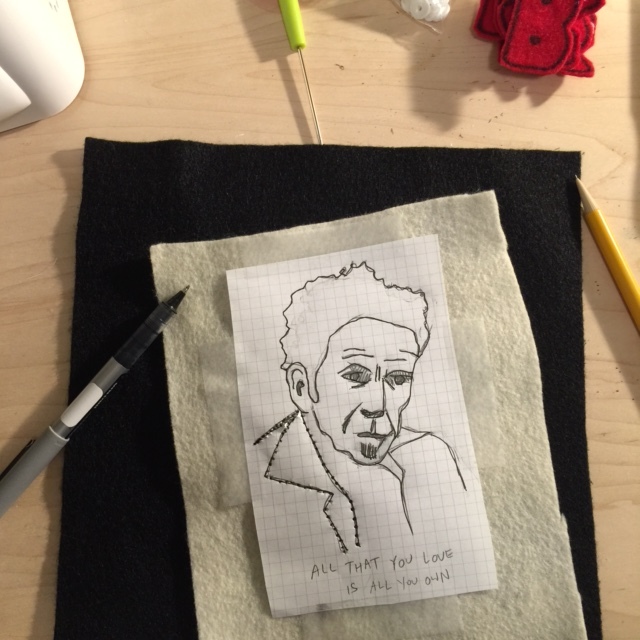 Tape the drawing onto your material. 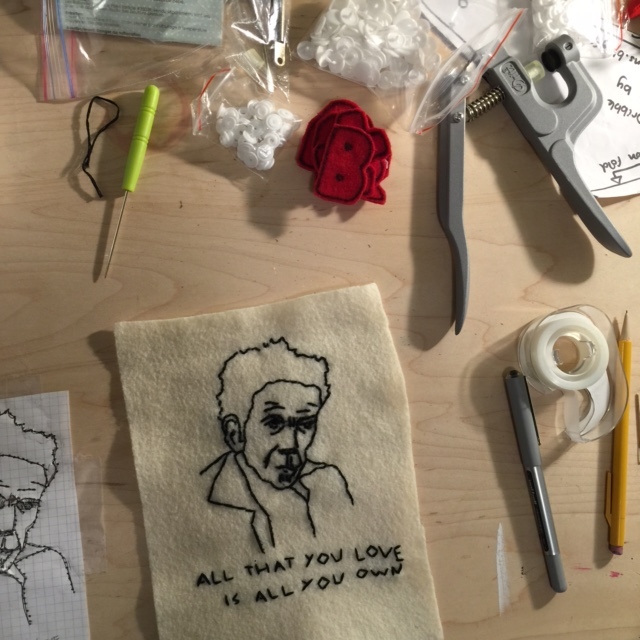 I usually stitch on felt, but any fabric will do. 3. 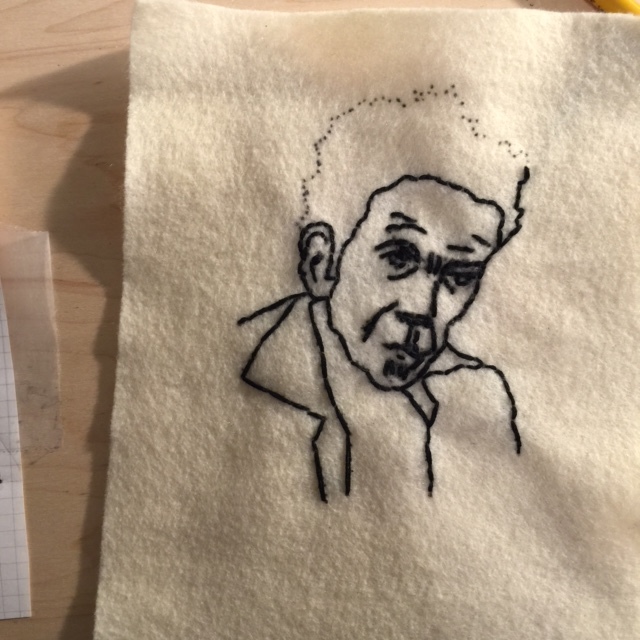 Prick an inky pen through the lines of the drawing, to create dots on the felt (which you’ll later connect with embroidery floss). 4. Remove the drawing. 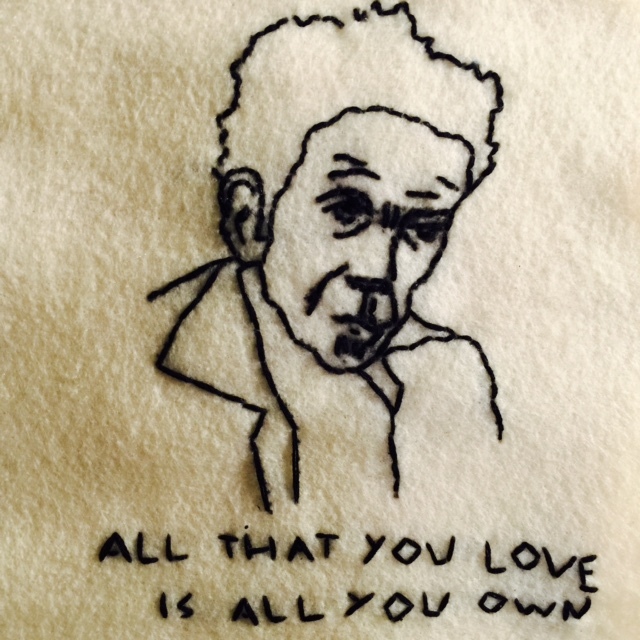 Thread your weird big needle with embroidery floss (here’s a cool video on how to do that).One strand of embroidery floss is composed of six little threads. I separate one long piece into two long pieces with three threads each, because the thread gets doubled-over and you don’t want it to be too thick. 5. 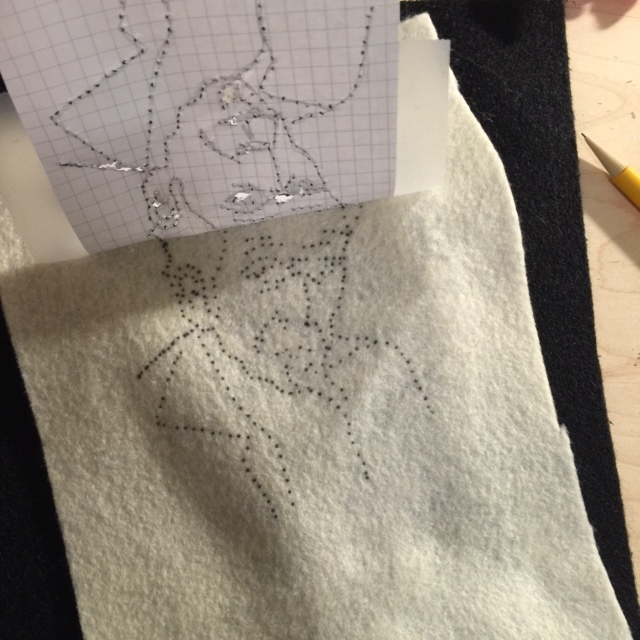 Start stitching. You’re basically just connecting the dots. You’ll need to tie off your thread when it gets low and re-up your needle a few times to get everything sewn. 6. That’s it! 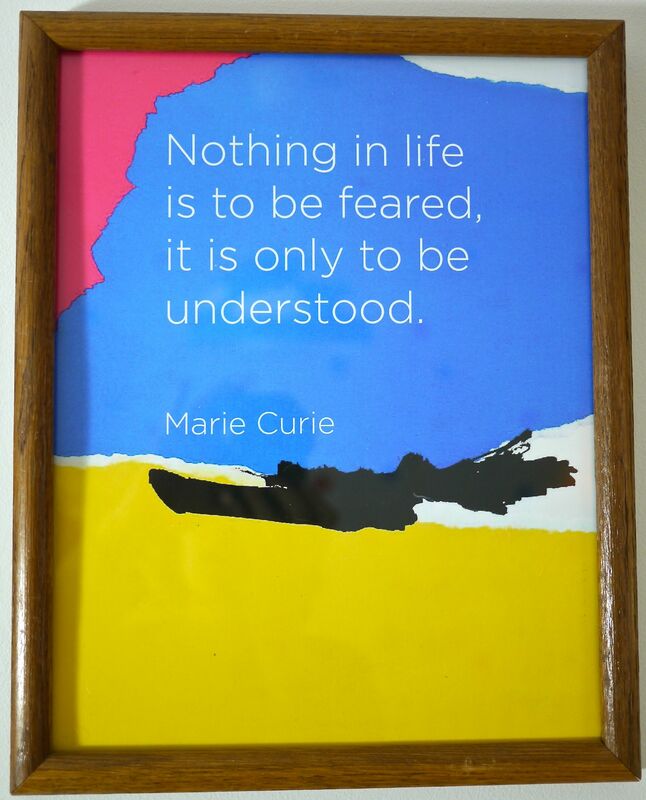 Add some freehand text if you want, like this quote which I don’t think is actually accurate? Close enough. 7. Frame your masterpiece and reward yourself with two pieces of sourdough toast with butter and strawberry jam, like I did. 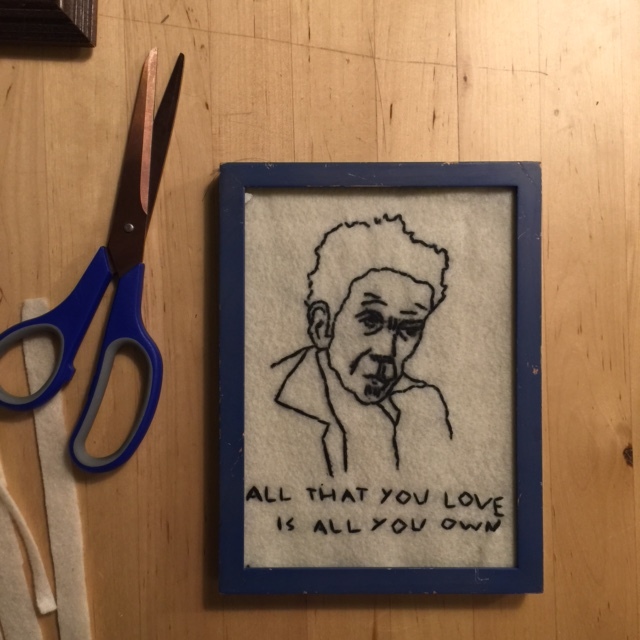 I made this little guy for my favorite person’s husband, who is graduating from business school tomorrow (his favorite musician is Tom Waits). 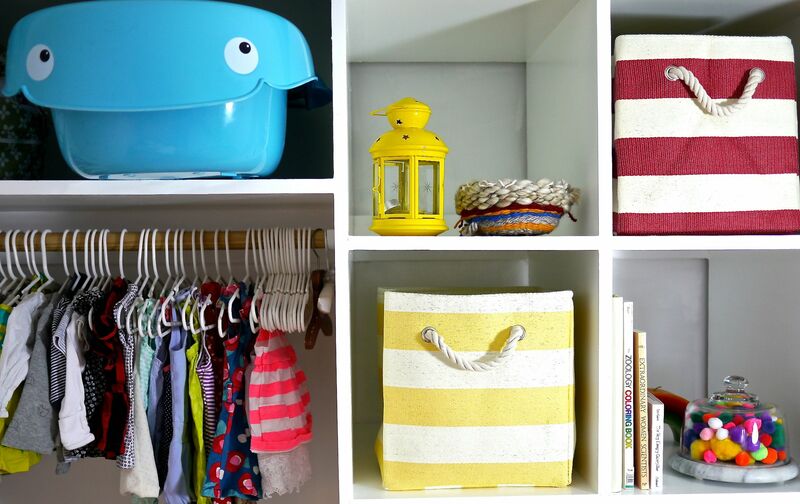 Is there any gift nicer than a janky, homemade craft? I don’t think so. 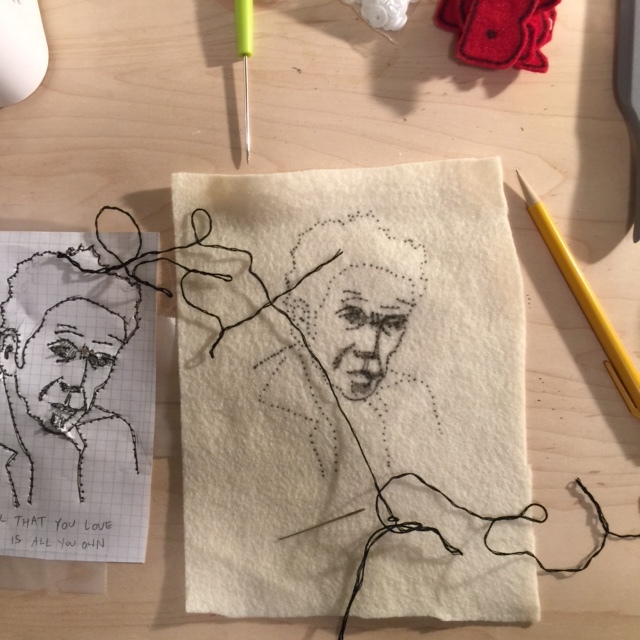 If you’re not up to making one of your own, I’ll stitch your favorite celebrity, frame it, and mail it to you for two twenty dollar bills. Email me at eringoosecamp at gmail and we’ll talk. The most fun part of pregnancy by far (besides envisioning my spawn- I’m supposed to say that’s number one, right?) 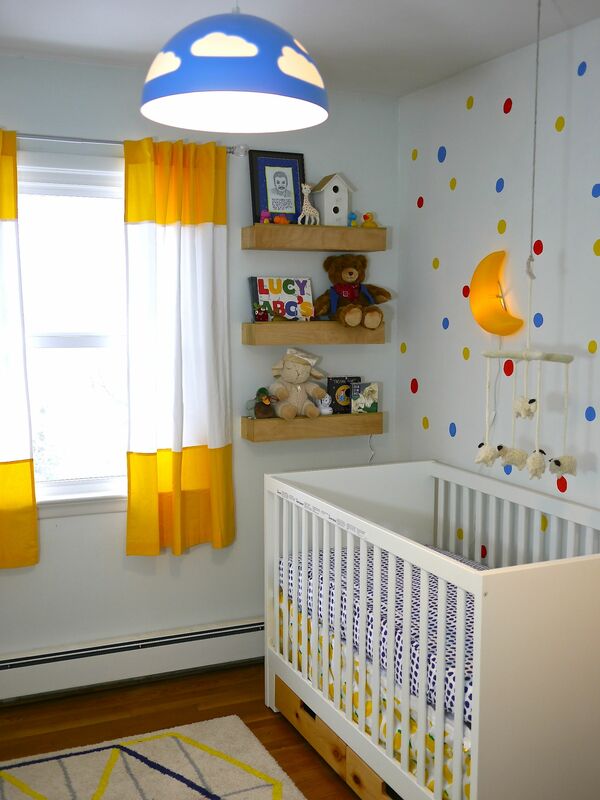 has been designing, building, DIYing, and shopping for the nursery. I’m so excited to finally share her little room! This room means so much to me. It’s turned into a little projection of everything I want for my girl.